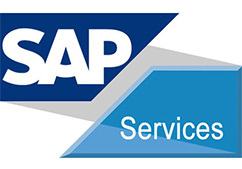 The traditional SAP ECC solution is available on SAP HANA. It has all of the conventional functionality of an ECC environment but the engine (database) is now a HANA engine. All the SAP transaction codes are available and there is no concept of data simplification. Because SAP ECC predates SAP HANA, companies using it generally started on other databases. When ECC users perform a SAP HANA migration without changing the front end, it becomes SAP Business Suite on HANA. This lets businesses benefit from the performance boost of SAP HANA without restructuring the application layer.